The original Pathfinder Adventure Path campaign is given an official Roll20 adaptation. A press review copy of the module was provided. Read more Roll20 Reviews and watch the video reviews on my YouTube channel. Support my video work via Patreon. Rise of the Runelords was the very first Adventure Path released for the then brand new Pathfinder tabletop RPG, in 2007 and 2008. An updated and expanded Anniversary Edition was released in 2012, celebrating its fifth anniversary. Despite its age, Rise of the Runelords remains one of the most well-regarded campaigns to ever come out of Pathfinder, spanning a rich tapestry of monsters, exotic locations and dungeons, motivated villains, and a classic tale of a reemerging evil presence. With a plethora of well-constructed dungeons and solid multi-chapter organization, Rise of the Runelords Anniversary Edition is particularly well suited to Roll20, making it an excellent adventure for Pathfinder veterans and newcomers alike. MAJOR SPOILERS – DM’s only! The Roll20 bundle includes everything in the published guidebook as well as a level 3 AL module, Underworld Speculation. Xanather’s Guide to Everything is an all-encompassing supplement and compendium for both players and DMs, though geared much more towards players. Its biggest feature are new subclasses for every single class, opening a lot more variety and player builds, while also including firm rules on frequent rules questions and options, such as downtime, magic item distribution, and detailed usage for tool proficiencies. The Roll20 bundle includes everything in the book, as well as an adaptation of an Adventurer’s League module, “Underworld Speculation,” which features the titular beholder in a really fun, unique way. Xanather’s makes for a great addition for any serious Roll20 adventuring group, though its complete lack of monster sheets, tokens, art, and maps also make it the least important. Battle against flying monkeys, heart-seeking constructs, and a giant floating head who may be holding a surprising secret in this Tier 2 jungle adventure. A review copy of “The Wizard of Zo” was provided by the publisher. Find more DMs Guild Reviews on my website and YouTube channel. Using famous fables, stories, and characters within D&D, or any tabletop RPG, provides a fun shared cultural touchstone for your players. I would love to see more adventures that blatantly ripped off famous stories in fantastical ways, like defending a poor village against a tyrannical local lord (Seven Samurai/Magnificent Seven), evading a relentlessly powerful enemy (Predator/Terminator/Alien), or shepherding a young person across a dangerous world (The Last of Us/Logan/Children of Men). “The Wizard of Zo” takes one of the most famous stories of the twentieth century and it applies it to a standard D&D mini-adventure, perfectly set within the jungles of Chult. 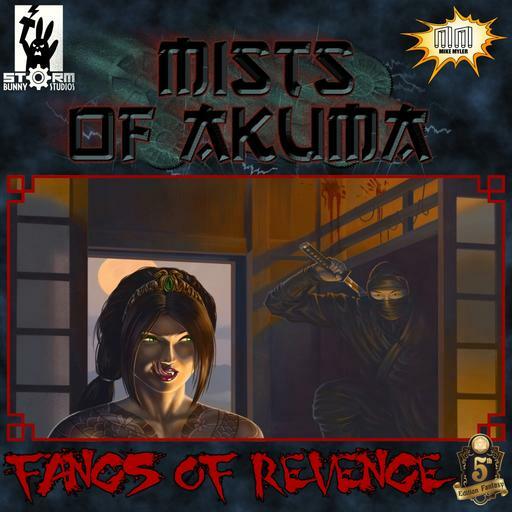 It’s a Tier 2 adventure, designed for 5-10th level, with an estimated play time between five and ten hours. It doesn’t try and retell The Wizard of Oz, instead cleverly pulling ideas and characters into a detailed cast and a fun dungeon design. The arcane-punk urban world of Magic: The Gathering’s Ravnica gets an official fifth edition conversion with new races, subclasses, backgrounds, and a 1st-level adventure. My history with Magic: The Gathering is ancient to say the least. I was there on the front lines when it launched in the early 90s, obsessing over booster packs and deck builds, and playing it in between band practice in middle school. By high school its popularity with my friends and I had worn out a bit, though I still dabbled occasionally. Fast forward about two decades and Magic is still riding high while other big collectible card games have come and gone. Despite both D&D and M:TG being owned by the same company, it’s taken until recently to get official crossover content. 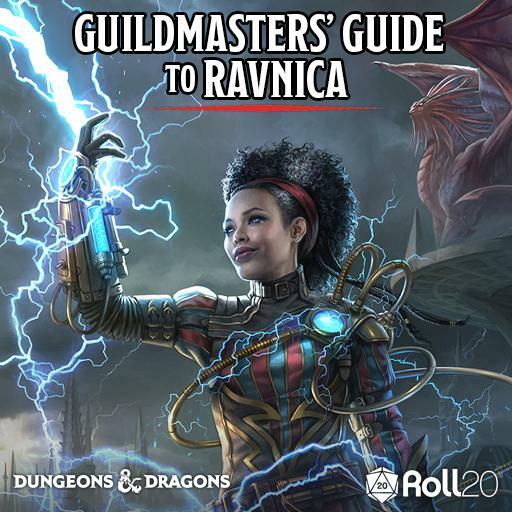 Gulidmasters’ Guide to Ravnica represents the first print book that uses lore, creatures, and races from the card game and converts them to Dungeons & Dragons Fifth Edition. The Roll20 module includes a first level adventure, the full compendium of lore, races, and creatures, and a bonus character art pack. The guild-focused content is thorough and interesting, with plenty of options for players and ideas for DM’s wanting to run an adventure in this arcane-punk city. Undermountain features an absolutely gigantic mega-dungeon and some of the best dungeon designs I’ve ever seen. It wouldn’t be a proper Dungeons & Dragons adventure without at least one dungeon crawl. Different published adventures have leaned more heavily into the dungeon theme than others, but Waterdeep: Dungeon of the Mad Mage definitely wins the Most Dungeon award I just made up. Welcome to Undermountain, the 23-level mega-dungeon!